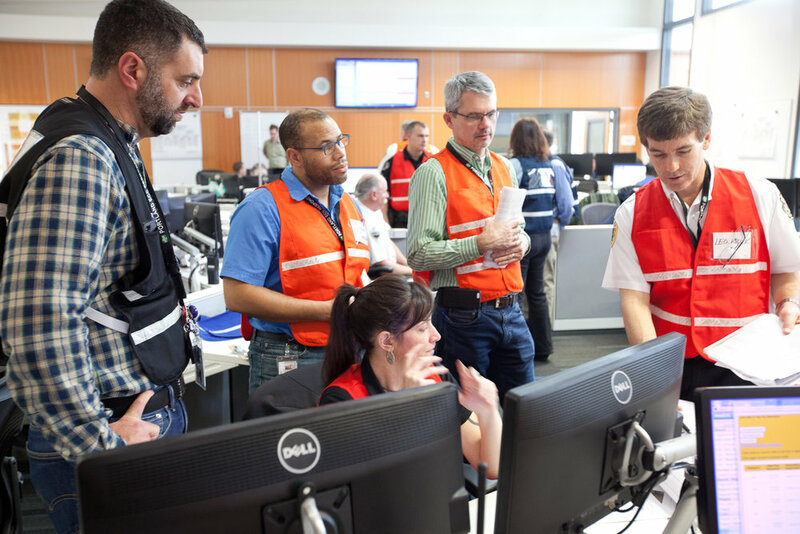 Emergency Operations Centers (EOCs) and Emergency Coordination Centers (ECCs) are essential facilities that provide a space for decision makers to communicate, stay organized, and coordinate response and recovery activities. The EOC Training Sub-Committee is a sub-committee of the Emergency Managers Work Group (REMTEC). It works to ensure that key personnel throughout the region are trained on the essential functions of EOCs/ECCs. Complete development of EOC Operations and Planning Section courses. Delivered pilot courses for both in March. Sought regional alignment to the newly created FEMA EOC National Qualification System. Began process to update subcommittee’s SOP. The RDPO Calendar includes courses that are a considered part of the core curriculum for EOC / ECC staff, as well as courses and exercises that participating jurisdictions have opened up for registration regionally. These trainings are for emergency preparedness professionals in the region. To submit an event, send details to RDPO@portlandoregon.gov. The Emergency Management Work Group (REMTEC) Training Committee has developed an EOC/ECC Staff Training Curriculum designed to train regional EOC/ECC personnel on the essential functions of an Emergency Operations Center. Emergency Management agencies from across the Portland Urban Area have cooperated to deliver these Regional EOC Training courses to professional Emergency Managers from across the region. The classes were developed to: 1) provide a common baseline of training for EOC/ECC personnel; 2) improve collaboration between agencies; 3) and, prepare local Emergency Managers for upcoming regional exercises.